You may have seen the headline “Nearly Half of U.S. 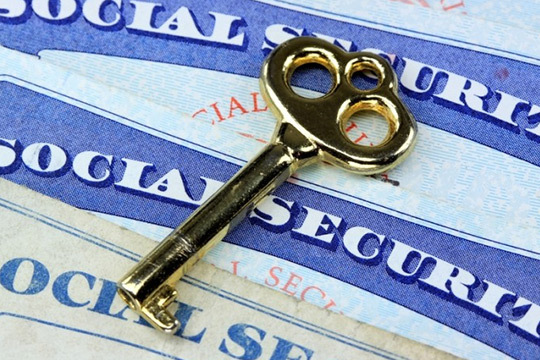 Adults Lack Basic Social Security Knowledge” or something similar to it, or you may have experienced firsthand the bewildering maze of rules and regulations facing someone aging into Social Security eligibility. Or perhaps you may know someone who has sailed through the Social Security application process without understanding the decisions being made (yes, this is unfortunately a fairly common occurrence). In any event, you are probably aware at least at some level of the simple reality that Social Security, with it’s 2700+ key rules and regulations, and it’s tens of thousands of pages of cryptic documentation “explaining” these rules and regulations, is a daunting subject area. That’s really why the AMAC Foundation three years ago launched it’s Social Security Advisory Program, and that’s why our five certified Advisors are so dedicated to lending a hand to folks struggling to make informed decisions on an area that significantly impacts their lives. Our Advisory Program is aligned with our basic mission of “Supporting and Educating America’s Seniors,” and one of the activities we undertake with the program is to periodically conduct workshops about Social Security and its many nuances. On November 15, our Advisors conducted a briefing for local residents on Social Security’s “Hot Buttons,” those basic items everyone needs to understand when it’s time to make key decisions. And since we have a national audience, we took steps to record the session and make it available through the Foundation’s website for on-demand viewing. For those wanting an overview of these critical basics, take a look at the recording on our “Videos” page, and note that you can download a copy of the slides we used right from the video page. After you’ve had a chance to check out the video and slides, feel free to contact our Advisory Service and get answers to any questions you may have about your individual situation. Instructions for contacting us are found on the “Services” page of this website. And while you’re on the website, you might want to subscribe to our monthly newsletter…it’s a very brief update on key Foundation activities (upcoming seminars, future projects, etc.) Just scroll to the bottom of any page and hit the “Subscribe” button. In a few keystrokes, you’ll join the list and will be kept up to speed on what’s happening at the AMAC Foundation!